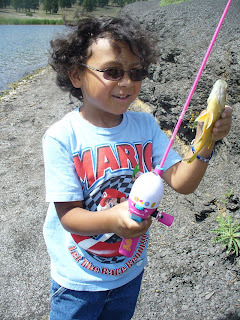 My Parenting Journey: Went Fishing! Dustin's first day of school! We go back to Echo Canyon last Saturday to go fishing. The first spot we went to, there's not so much fish in there so we decided to pack up and go to the little Island in the middle of the lake. We saw some people fishing in there and they seems did pretty good, they caught some in there and we can't wait to catch some too. Look at Dustin at this photo, he caught a fish right away and me too! We caught a good size bluegill. 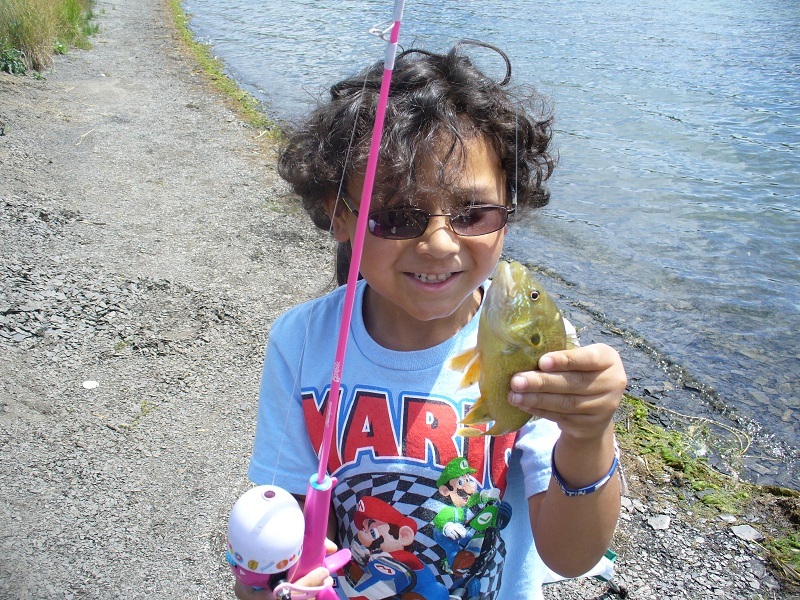 That's our first catch and we catch some more on that day! 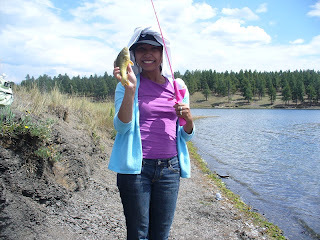 We caught 18 bluegills and 3 bass! It was a nice day though and we're happy to take the fish home for dinner!